Influencer marketing can’t be fully automated according to 96% of marketers. But leveraging tools can help you execute your influencer campaigns more efficiently. Let’s take a look at 27 of the best influencer marketing platforms you should try in 2019. FameBit is a platform that helps brands find, connect, and collaborate with influential content creators on YouTube. You can connect with influencers who are excellent storytellers. They can help you tell your brand and product stories in a way no one else can. You can launch a campaign for free and receive proposals from influencers who are interested in working with you. FameBit allows you to review proposals and analyze the influencer’s profile and audience demographics. IZEA can help you build, manage, analyze, and amplify influencer marketing campaigns. You can leverage this platform to find influencers and content creators who fit your target demographics. It allows you to perform keyword searches and then filter results based on advanced demographics and location. You can manage all of your influencers, creative briefs, requirements, payments, and many other details in one place. The best part is that IZEA enables you to measure the performance of influencer-created content across platforms in real time. Traackr is an all-in-one solution that can help you with influencer discovery, management, and analytics. You can use it to scale your influencer marketing campaigns with powerful analytics, valuable data-driven insights, consistent monitoring. Prioritize influencers based on audience insights. Track conversations and validate real influence to see if an influencer is actually a good fit for your brand. TapInfluence helps you find the right influencers who also want to work for your brand. You will get a 360-degree view of the influencer including insights about them, their audience, and the real-time cost per engagement (CPE). With TapInfluence, it is easy to build and execute influencer campaigns of any size or complexity. It helps you with communication, campaign briefing, content creation, review, and promotion processes. Ambassador is one of the world’s best all-in-one referral software platforms. It helps you identify the affiliates, influencers, employees, and other advocates you want to partner with. You can easily enroll them to run targeted and personalized influencer marketing campaigns. The best part is that you can manage all of your influencers in one place and monitor their performance in real time. Onalytica helps brands and influencers connect to create great content. You can discover relevant influencers for your brand from their global database of over 700K influencers. 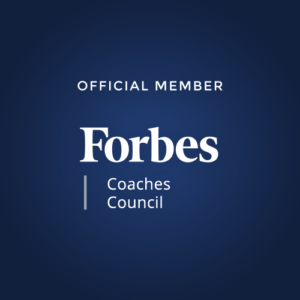 This platform enables you to connect, interact, and develop relationships with influencers you who seem to be a good fit for your business. You can also measure the impact of your campaigns and compare it to how your competitors are performing. MARKERLY is an end-to-end influencer marketing solution that helps you connect with real people to deliver authentic brand affiliations. You can leverage this platform to identify and partner with influencers whose lives are most relevant to your brand and values. Streamline workflow including contract management, content creation, tracking, optimization, and measuring results. See how the branded influencer content is performing across the leading social media platforms. Tidal Labs helps you build, manage, and scale your influencer programs by automating your influencer workflow. Discover and recruit the perfect influencer for your brand through their AI-powered influencer discovery feature. You can filter results based on their performance and audience insights. Run streamlined campaigns using automation. Tidal Labs enables you to gather information, distribute products, and release payments in less time. You can also review, edit, rate, and amplify your influencer content. It also enables you to build strong influencer relationships through unlimited custom communication templates. TrendKite helps you identify the right influencers for your brand from a database of over 825 million influencer profiles. You can segment influencers based on bio keywords, location, reach, resonance, audience demographics, and more. You can easily reach out to relevant influencers using customizable messaging. trendKite enables you to measure and optimize the impact of your campaigns to maximize brand exposure and user engagement. Grapevine helps you connect with top content creators on social media to help boost your marketing initiatives. You can easily build, measure, and scale your influencer programs to reach and engage your target audience. Search for influencers from their network of human-vetted creators on YouTube, Instagram, and Facebook. You can search for keywords specific to your campaign to discover the most suitable influencers. Discuss campaign details, make direct offers, negotiate fees, and securely manage payments to move your campaigns forward. Captiv8 helps you connect with influencers and content creators who can promote your brand, products, or services. This campaign management tool also allows you to streamline your communication process including negotiations, influencer approvals, and contracts. You can review, edit, and approve influencer content from a single dashboard and even post on behalf of the creator. Captiv8 helps you track real metrics such as EMV, sentiment analysis, and deep engagement data to measure campaign ROI. Fohr uses technology to make influencer marketing simpler for you. You can search for influencers in any specific niche, number of followers, location, and more. Fohr provides you with powerful filters to find exactly who you want to work with. Campaign management is also easy with Fohr. You can create campaign briefs, send offers, get comprehensive reports, and more. Their reporting tools provide in-depth insights into follower health and content performance. Open Influence is easy-to-use influencer discovery and analytics software. It can help you build an effective influencer community in minutes. You can find relevant influencers from a large database, compare them, and choose the ones who best suit your brand and campaign goals. This tool uses AI to analyze each piece of content an influencer creates. You can see how different aspects of an influencer-created post drive performance. Buzzoole is an end-to-end platform that can help you simplify all of your influencer marketing processes. This tool helps you analyze and understand the true influencer of a content creator. You can choose the influencers you want to work with, approve content, manage payments, and optimize your campaign budget. Buzzoole also provides you with real-time measurement and in-depth post-campaign reporting. 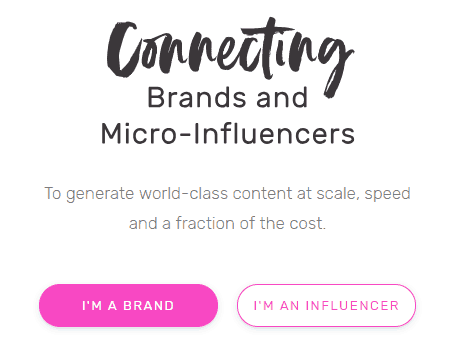 TRIBE helps connect brands with micro-influencers to create world-class content at scale. It is highly cost-effective since you only pay for the posts you love. You can get influencers to create content about your product or brand. Once you approve the content you love, they’d post it to their social feed. You can also ask them for the rights to repurpose their content and use it on your own advertising channels. The Shelf helps you plan and execute data-driven influencer marketing campaigns that are highly targeted, effective, and measurable. Find the right influencers to work with from a database of 157K+ lifestyle influencers. Filter searches by location, number of followers, average likes, comments, gender, and more. The Shelf provides you with all the information you need to analyze whether or not an influencer is a good fit for your brand. This includes relevant post samples and traffic, content, and audience analysis. Popular Pays enables you to collaborate with expert content creators so that you can meet your growing content needs. You can find influencers of every size, from celebrities to micro-influencers. Review their profile and ratings, see which social networks they are most influential on, and the style of content they create. Choose the right voice to tell your brand’s story and get them onboard to create custom content. 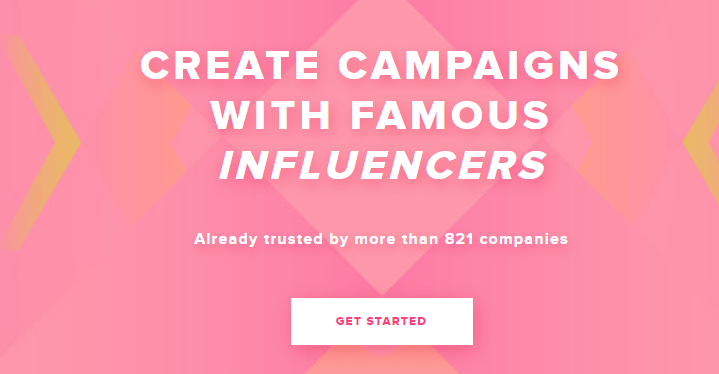 Influencity can help you create, manage, launch, and measure your influencer campaigns. It enables you to find the most relevant influencers, analyze their audience, and measure real-time campaign results. Scrunch helps you find relevant influencers from a database of over 20 million influencers. You can discover and partner with the right influencers for your brand to reach your target audience. Understand what influences the buying decisions of your audience through in-depth analysis of audience demographics and interests. Leverage real-time reporting to understand which content performed well and who your most engaged audiences were. TAKUMI helps you efficiently scale your Instagram influencer campaigns without compromising on quality. Find highly-vetted influencers who have engaged followings and who create high-quality content. Manage everything from finding influencer to influencer payments and post-campaign analysis in one place. 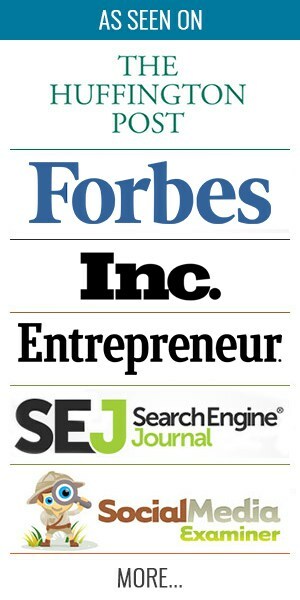 Speakr has a large network of influential content creators who can help you promote your brand. First, analyze their reach, engagement, pricing, and participation across all major social media channels. Then choose the influencers you want to work with. Speakr helps you ensure that your influencer campaign meets brand guidelines and FTC rules. 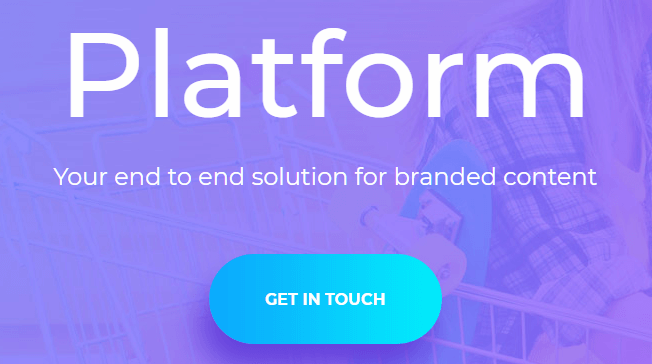 Publicfast helps connect brands with influencers on Facebook, Twitter, Instagram, and YouTube. You can plan and create your campaign, give a brief, and define goals. Then choose the influencers you want to work with and get them onboard to create engaging content about your products. You can track posts and see how each post performs. Pay only for the results based on content reach and engagement. Reachbird.io is an intelligent AI-powered platform. It makes it easier for you to strategize, execute, and measure your campaigns. You can identify the right influencers to work with, manage your campaigns, and build and nurture your relationships. Buzzweb is one of the best platforms to evaluate the authenticity of Instagram influencers. You can check Instagram accounts for their audience demographics, real engagement rate, and the authenticity of their posts. The best part is that you can use this tool to spot fake followers. Kasitoko helps you automate and optimize your influencer marketing processes. You can find influencers, build long-term relationships, and manage your campaigns efficiently. Segment your influencers based on your campaign goals and needs. You can also use Kasitoko to track and measure the performance of each of your influencers. Peg is one of the best influencer marketing software platforms for performance-driven brands. You can search for ultra-niche influencers on YouTube and Instagram across every category. Filter results by audience demographics, brand affinity, and engagement rates. Peg can also help you track campaign metrics to measure ROI. Juulr is an all-in-one influencer marketing solution. It can help you find influencers, manage campaigns, and optimize campaign results. This platform helps you launch more efficient campaigns. And reduce costs through smart analysis and recommendations. In today’s competitive space, brands and marketers often struggle to efficiently engage their audiences. While influencers can be a great asset, collaborating with them comes with its own set of challenges. The list of influencer marketing platforms we’ve shared above can help make things easier for you. You can leverage these platforms to connect better with your audience and get them to trust your brand. Would you recommend that marketers use any platform other than the ones listed above? Please feel free to mention your favorites in the comments below.